Good Value Home Improvement Center’s superior service begins when you walk in our door and are met by a customer service representative to help you. We specialize in all wood cabinetry—not particle board boxes with wood faces—and our kitchen and bath cabinetry, doors and flooring sell for less than the big chain stores. Also, we use 20/20 design software, the same computer design service the chain stores use, but we offer onsite local measuring for cabinets, doors and flooring. Our quality all wood products at discount prices and personal service are the reasons Good Value Home Improvement has grown rapidly. We opened with two employees in August 2005 and now have ten employees including an outside sales representative. Our hotel cabinetry business has increased with sales to Best Western Hotels, Baymont Inns & Suites, and Homewood Suites. We started business offering five different styles of cabinets and now offer more than twenty. Our main cabinet vendor, Sunco, offers superior KCMA Certified cabinets at a great price from its factories in the United States and China. We also offer interior door units, flooring (laminate, carpet, ceramic, and vinyl), toilets, faucets, trim (crown, base board, and casing), and locksets. The arch top pine interior doors are a solid wood knotty pine door unit that is popular in southeast Texas and regional areas of the United States and Canada. We sell a fair amount of flooring to the do it your self customers. Our prices are unbeatable. Good Value Home Improvement has an easy- to-use website, www.goodvaluecenter.com. Our customers say they prefer shopping online with us because they also have the opportunity to visit our store and physically see and touch the products they want to buy. After customers make their decision, they can order in the store or use our website that provides them with a shopping cart and the ability to order online and have it shipped to their door. We ship cabinets and doors throughout the United States and around the world. 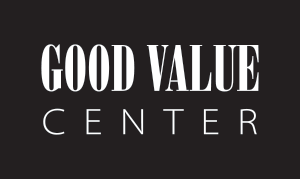 Good Value is locally owned and operated by Michael and Amy Carson of Lumberton, Texas. Good Value focuses on the needs of its customers and supplies them with quality wood products.